Winter's Eve, December 31 - Should Old Acquaintance Be Forgot? We are in Akron, OH ringing in the New Year with our friends Red Wanting Blue. 2018 is just a few moments away so I am pushing to get this out. Deadlines. I really want to get way from the Deadlines. What's the root word? Dead? Or Lines? Before I get too deep, I want to thank you if you've taken the time to read these 31 December blogs. Or if you bought our music, or a tee shirt or came to our show this year, or wrote in sharing a memory of your own. Thanks for connecting in 2017. Let's do it again next year. Until then, here's to old acquaintance. Here's to a Happy and prosperous New Year. This time last week, things were tense at the Carbon Leaf shop, as we were all grinding long days in the studio, getting packages ready for deadline shipping, waiting on materials that were late, and realizing with some simple math how incrementally far we were falling behind with each passing hour. Then, we discovered our mailing system got fouled up and we’d need to pause and rebuild it. 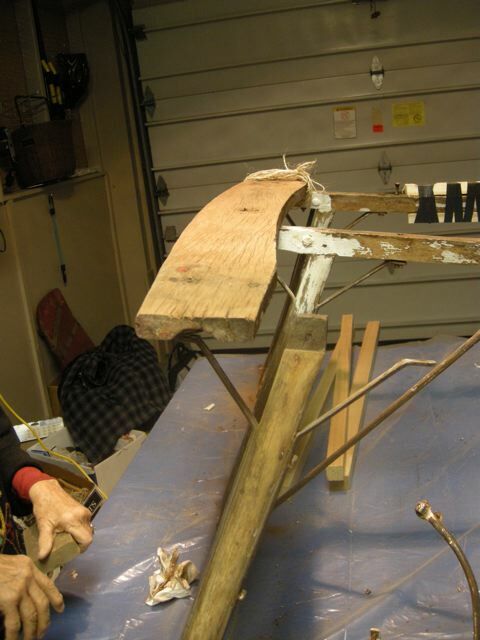 At one point, I went into the house garage, passing through towards the kitchen for a glass of water, and I found Terry there with several broken, wooden things - a small child’s straight-back chair, a Snoopy sleigh - he was glueing, clamping, vicing them back together with what he could make work within arm's reach. I suspect it was part of a Holidays-Are-Coming honey-do list. I hesitated, but opened my mouth anyway. Years ago when I was home from college on Christmas break, I saw these hand-painted vintage Russian nesting dolls sitting in the trash in the garage near the present-wrapping station. The heavy, handblown crystal tree was in the trash as well, with it’s lighted stand and frayed two prong power cord. They had been on display around the house for Christmas since I could remember. I rescued them from obscurity, and confronted my mom and asked her what was up with that. She said, “Oh, they’re just old and ratty..."
In truth, this gathering was always the day after Christmas, December 26th, for the Privett side of the family. This year, I went to Christmas Eve service, and then started driving around town, seeing the lights, turning over the old stomping grounds in my mind. Remembering. While on Brambleton Ave, my hands jerked the wheel hard right, committing me into the midtown tunnel, across the Elizabeth River and onto the bridge towards Portsmouth. This was December 26 for us every year. It was the route to either Grandmama and Grandpop's, Aunt Dolly’s or Aunt Sissies for the Privett side of the family gathering, depending on who’s year it was. They’re all gone. My grandparents finally sold the place in 1990 after mostly retiring down into Hatteras increasingly each year. It had been so long since I’d been back...we were always in the back seat. I had real trouble finding it. Google didn’t pull it up because they have since renamed it from a ’Terrace’ to a ‘Road’. I was running around every room. I drove down the street and circled back. The plot next store to the right was still an empty field(!) It butts up to a small piece of the western branch of the Elizabeth River, so it was dark. I parked and walked down the field and creeped around a little, looking at the house from what safe angle I could from next door. The woodshop my grandfather built was still there. It used to have a dog run for Muglsy. The new folks added a back porch to the house. It's a sublime feeling, knowing that a family of strangers lives there, and yet you could walk through their house blindfolded, if you needed to. I'm begging mom, will you understand? I'm begging dad, will you hold her hand? You have lived here a long time! Christmas? Roy says it has been in the neighborhood for about 40 years! as a preservation project? Pictures with Santa, anyone ? And so, my mom learned from the old guard that the sleigh would traditionally be decorated by the Civic League or Women’s Garden Club and placed in the front yard of a different members’ home each holiday season. 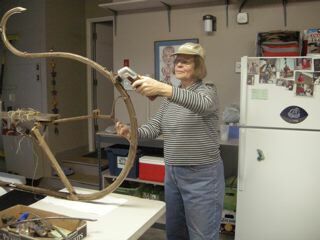 I just dug through her old emails to find these pictures; I can’t take credit for helping - a little staining near the end, when I was home for a few days. The sleigh sat in the garage for a good part of the year, as neighbors came and went, in an ever-tightening corkscrew to reach the holiday deadline. They bit off more than they could chew, and I remember a somewhat tense time over Thanksgiving, and spilling into December that year. But they got it done. The drive home each Christmas is a hard drive. 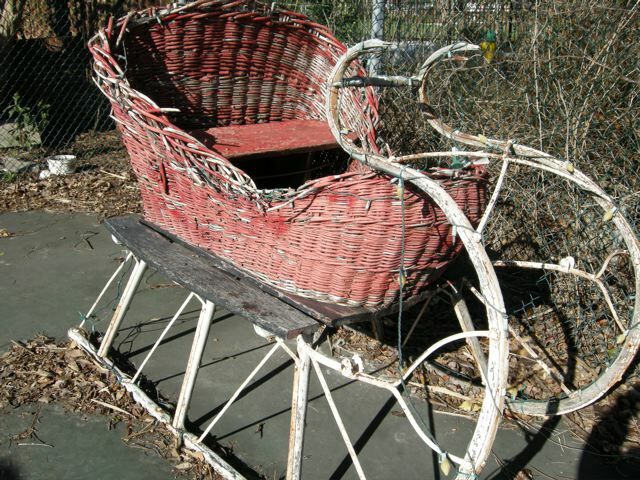 I always forget about the sleigh that mom helped rescue from obscurity. Until I turn down into the neighborhood, and there it is, beautiful and still, all aglow in the night on my godfather’s front lawn, pricking me in the heart. What about my broken car? What about my life so far?